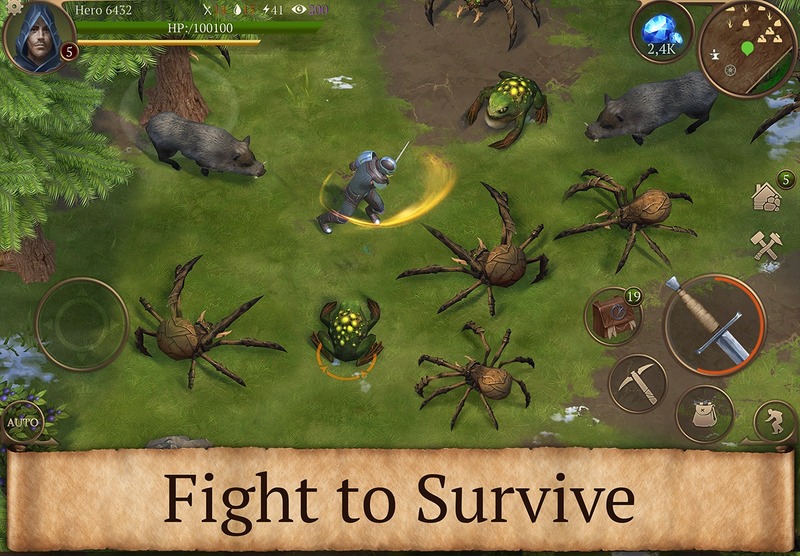 If modern life makes you feel tired and someday you want to visit nature by experiencing a prehistoric life, then try to play Stormfall: Saga of Survival (MOD Frozen Enemy). This is a survival game combined with the extremely exciting adventure of the publisher Plarium Global, bringing you back to the Stone Age. The task of the player is to do everything possible to survive without the use of modern equipment or any help. The main character in this game was the lord of Stormfall, but he was betrayed and expelled by the council to Eastern Marches – a deserted area with snowy peaks, relics from thousands of years before and spells, magic is forgotten. This is a dangerous area not for the weak, where mysterious monsters live. You are now an exile. Everything can be saved, but first, you have to find ways to survive in this world, against the hunger, the cold and fight with mysterious creatures and exiles like you. Like Last Day On Earth, players will start exploring this mysterious land with nothing in their hands. First, you must use your spear to hunt some small animals in the forest. This is your main food source to fight hunger every day, if you do not have enough food, death is waiting for you in the front. Then you can go chopping wood and gather everything that is possible around you. 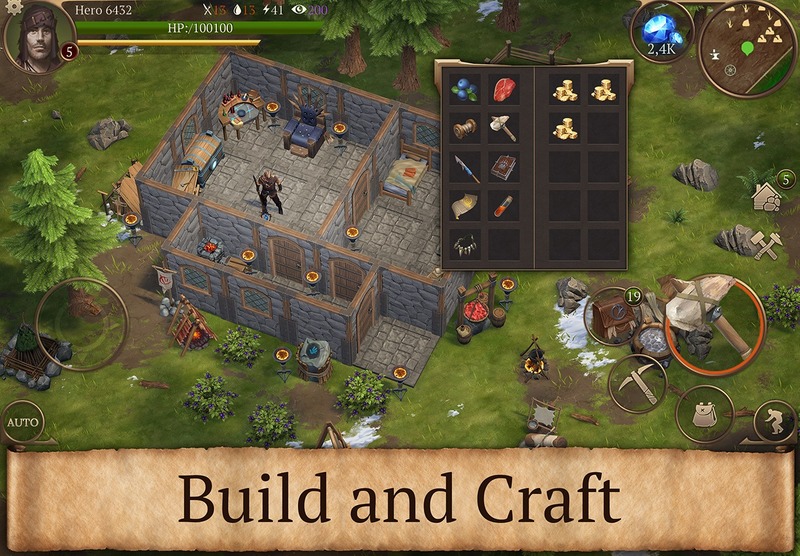 With some small materials such as logs or boulders, you can build powerful weapons such as axes, spears, and even a building to protect you from the dangers around. After you die, you will have to start everything from the beginning so I think you should work hard when deciding to do something. In this forest are not only small, gentle animals like deer, wild boars but also blood-thirsty animals such as wolves, poisonous spiders, demon frogs … They are ready to tear you apart and eat you when possible, so you should move so lightly that they will not be detected. Each time you kill an animal, you will get some experience points. When you have enough experience to level up, your character will be healthier, causing more damage and unlocking some new features. In particular, you can learn the magic to upgrade your weapon and use it to destroy anyone who wants to kill you. The special skills of the character is a good weapon to protect yourself against the fierce monsters and other distractions. 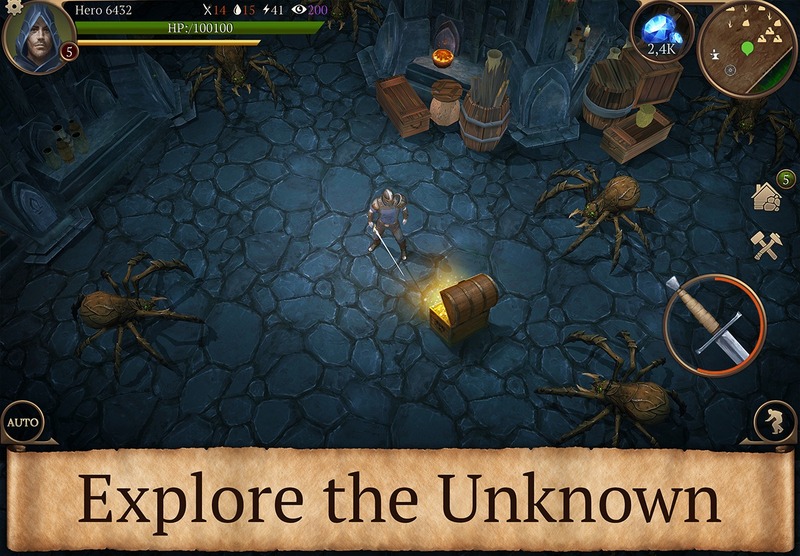 A lot of mysterious treasures are waiting for you in the front. If in Fortnite, you just pick up weapons to fight other players, then Stormfall: Saga of Survival is much harder to play. The game requires you to do everything to survive in a harsh environment filled with pitfalls and monsters. Furthermore, you also need to guard other players who want to hurt you to steal what you have. But don’t worry too much, feel free to enjoy this fun game. If you do not know what to do, the game has a lot of instructions. Not only good gameplay, Stormfall: Saga of Survival also has nice graphics. The 3D graphics of the game combined with the realistic depiction style will give you a great visual experience. You can easily see around with the top-down camera. In the upper right corner of your screen, there is a minimap that gives you an overview of the entire environment. When there are red dots in the minimap running towards you, be careful, it is the enemy that is coming to kill you. There is a lot to say about this game, but maybe we do not have enough time to say about all. If you want to experience a wildlife, download Stormfall: Saga of Survival on your phone and join with me. 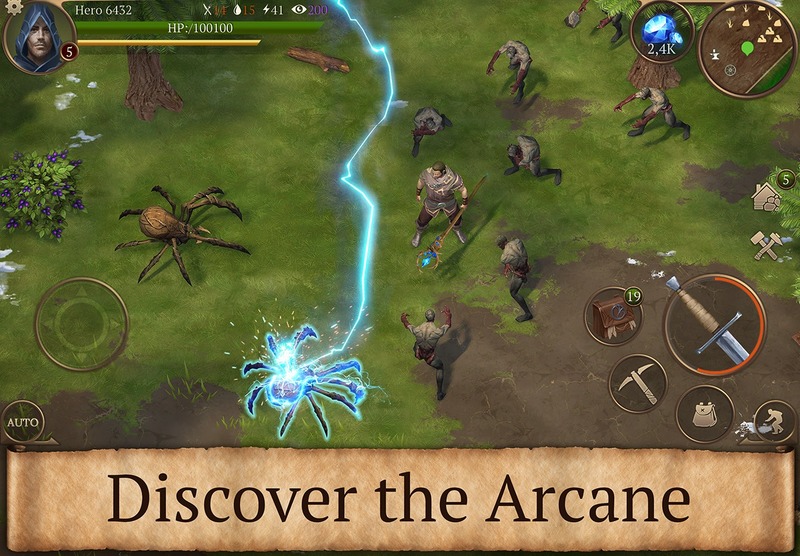 Stormfall: Saga of Survival MOD APK is ready to download! 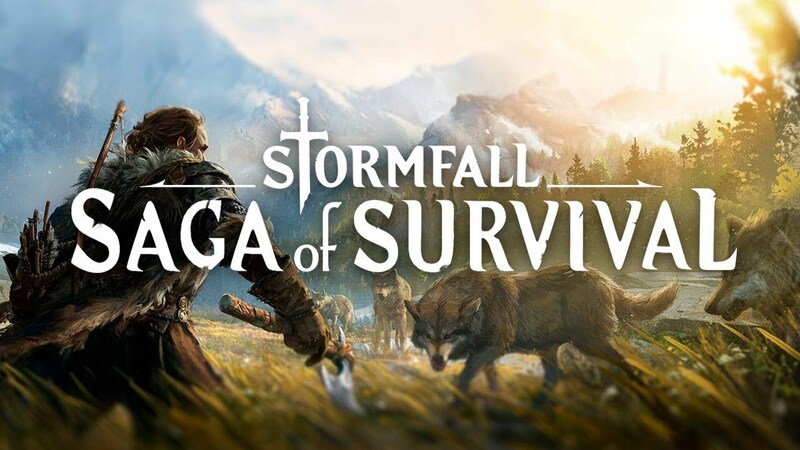 Depending on your needs, you can download Stormfall: Saga of Survival MOD APK or Stormfall: Saga of Survival Original APK. Or install from Google Play / App Store if you want.